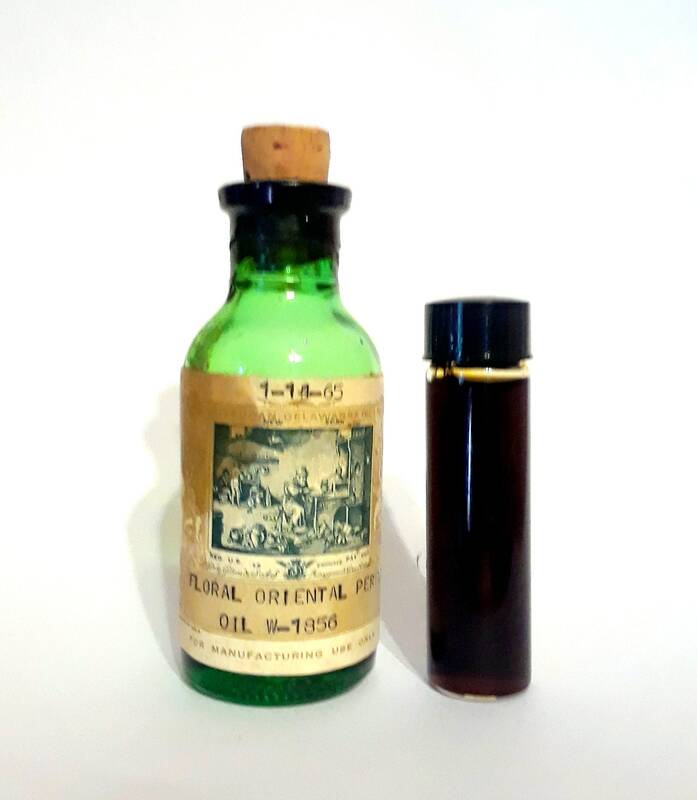 Vintage 1960s 2 Dram (0.25 oz or 7.39ml) Floral Oriental Perfume Givaudan Delawanna PERFUME BASE aromachemical. 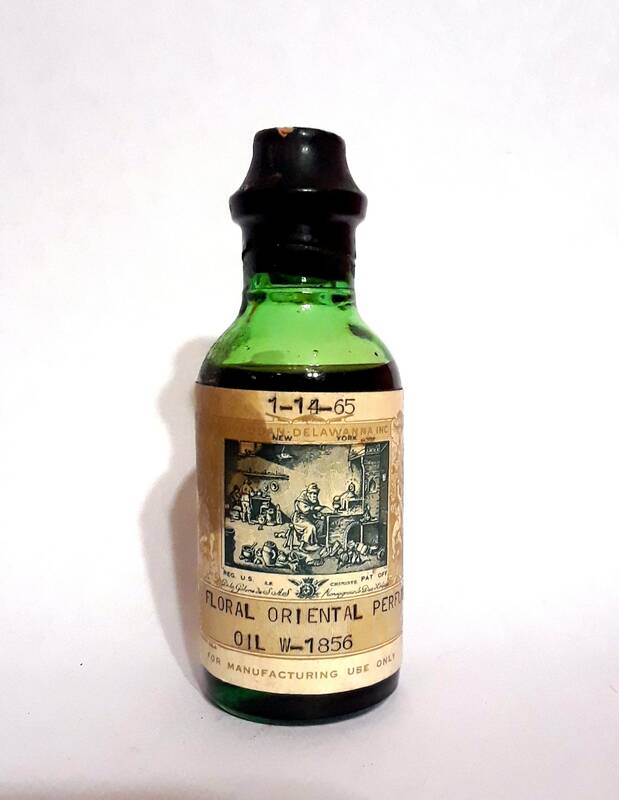 You are purchasing a 2 Dram (0.25 oz or 7.39ml) clear glass vial bottle of "Floral Oriental Perfume" base by Givaudan Delawanna. 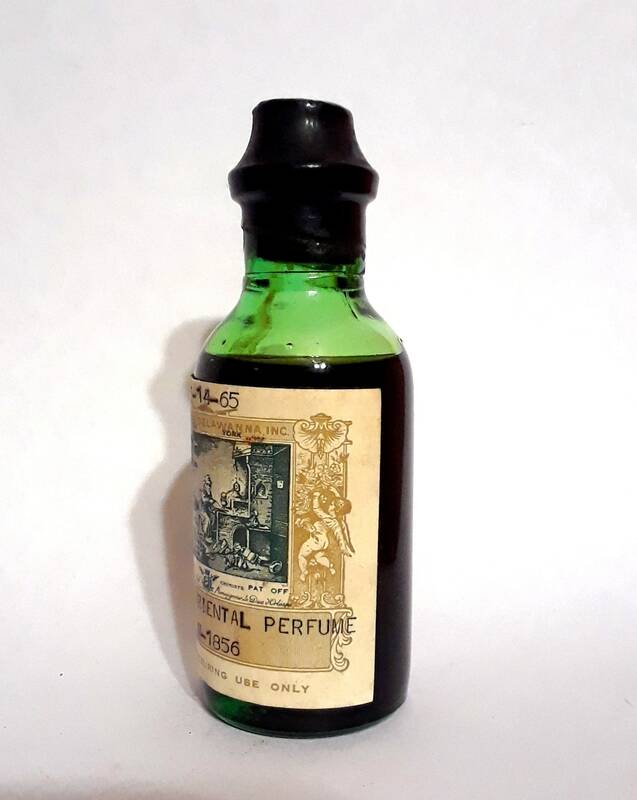 This perfume base was decanted from a nice antique 1 oz green glass bottle, that was sealed, but I just opened it to decant and smell it. 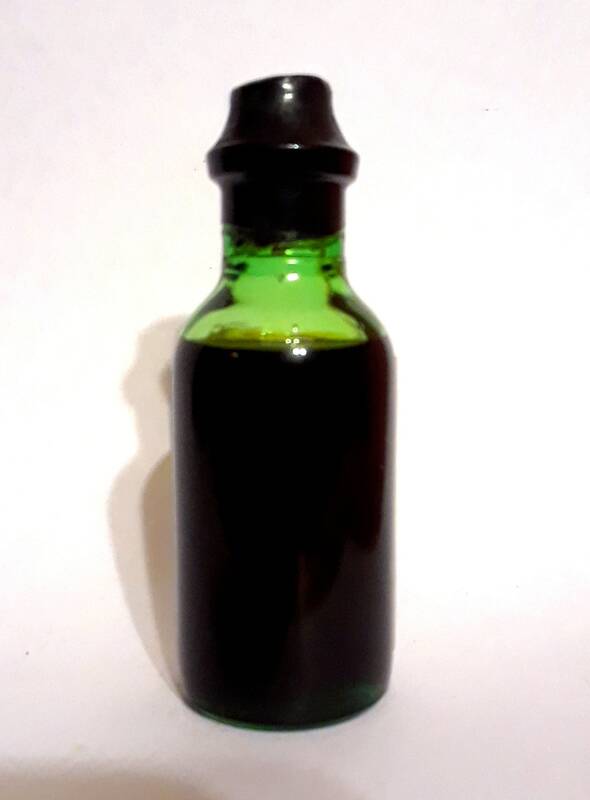 You will NOT receive the green glass bottle - this is only shown in photographs to inform you which bottle it was decanted from. You are only getting the 2 Dram (0.25 oz or 7.39ml) clear glass vial bottle. 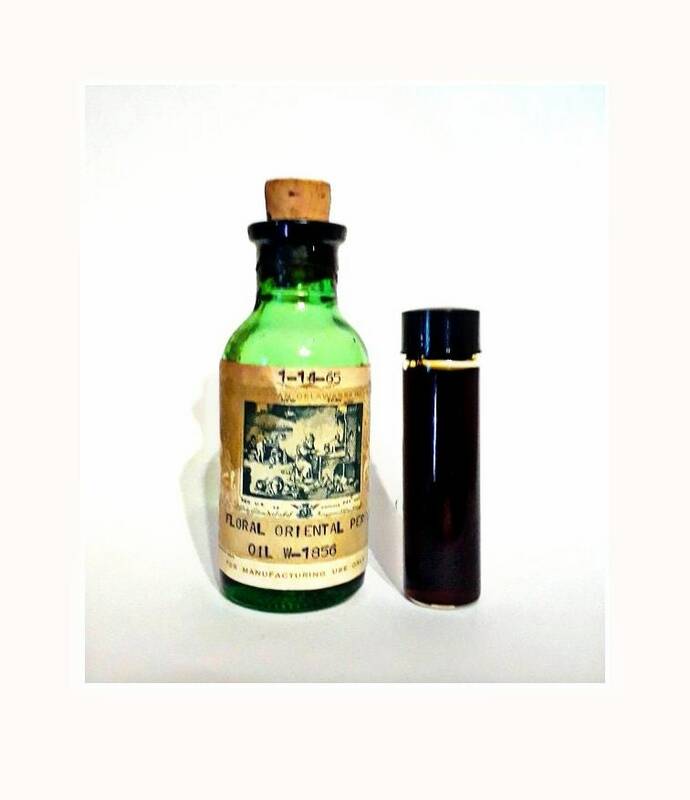 There is plenty of the perfume base for you to work with and it would be better used in a diluted form. It smells very soft, floral with hints or oriental woods and resins.